Our team has always sought to serve clients of all sizes and when it comes to getting the right kind of web platform, it can seem a bit cost prohibitive for smaller companies. Many companies opt to have a simple HTML website when they find themselves in need of a website, only to later find that they can’t edit the site without technical expertise or paying a professional or they find out that they don’t own their code because it’s built with a proprietary software that’s not transferable. – A 3 page website with a custom header and blog feature. 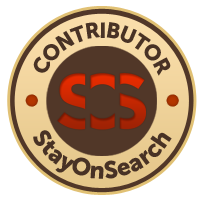 – Optimized coding for search engines. While WordPress is a search engine friendly web platform, someone still has to do the research to make sure the right keywords are used – that’s what we do! – Integration of your key social media profiles. – The basic site is just $525 but for the first 20 folks to sign up in June, we will take $100 off of the price. Take a look at this document which gives all of the specifics as well as some options for upgrades. If you have any questions, you can contact me at akirlew-@-akaim.com or 602-903-6223.